Ethiopian coffee is some of the most diverse and delicious coffee, you can try. In this article I’ll tell you everything you need to know from history to brew tips. If you ask any true coffee expert about their favorite coffee country, chances are high they will say Ethiopia. 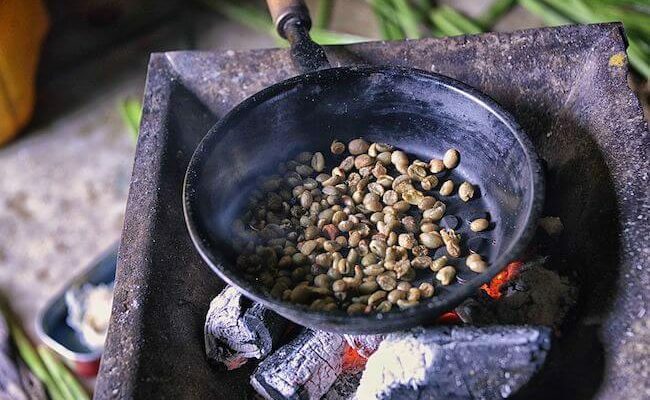 In the same way, reggae lovers are crazy about Jamaica, and wine lovers have to visit France, Ethiopia is a sort of spiritual home for coffee professionals. This is partly due to history but also because of the outstanding flavor profiles you can encounter in this vast country. 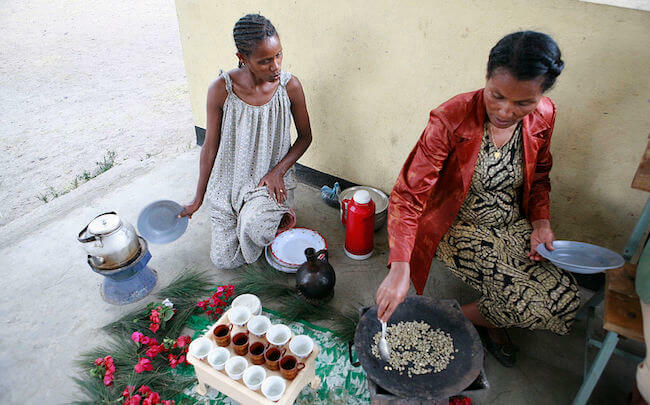 Ethiopian coffee tastes unlike anything else in the world of coffee. To understand why we have to take a brief historical detour. This coffee encapsulates the essence of Ethiopia. It has the floral and tea-like notes that this country is famous for. In spite of the light roast it still has the typical natural sweetness with hints of vanilla. 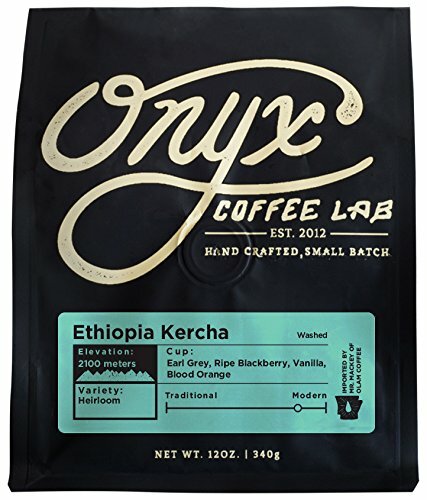 Onyx Coffee Lab from Arkansas has been one of the most prolific American coffee roasters the last couple of years. Ethiopia is the birthplace of the coffee plant. It’s been here since prehistoric times, and all the coffee that grows in Asia and Latin America can actually be traced back to its roots here. The legend has it that coffee was initially discovered by a goat herder named Kaldi in the 9th century. He noticed his animals were almost dancing around after consuming some of the coffee plants. He investigated, tasted some berries, and quickly realized that it was good stuff. But this is probably just a myth, as it didn’t appear in writing until 1671. Coffee is said to hail from the Kaffa-region. Hence, the name. About one-quarter of the country’s population is depending either directly or indirectly on coffee. In my own meta-analysis of coffee countries, Ethiopia came in as the 2nd best producer in the world. The Arabians, wanting to protect the lucrative market, imposed a death penalty, on taking out coffee from the country. Still, some Dutch spies succeeded in stealing a few seedlings in 1616. At the time the Netherlands ruled Indonesia, and the island of Java quickly took the lead as the world’s biggest coffee exporter. Exactly, as it had happened with Mocca, Java became a kind of slang for coffee in the colonial world. With this history in mind, it’s suddenly a lot easier to understand why Ethiopian coffee is so unique. While the rest of the world’s coffee, to a certain extent, is derived from the few plants that were stolen from Yemen back in the days, there is a substantial genetic variation among the coffee plants in Ethiopia. It’s estimated that more than 90 percent of the genetic material of Coffea arabica is located in just that one country. For this reason, you can experience more different flavors in Ethiopian coffee than anywhere else. The current ‘most expensive coffee in the world’ is an example of this. Geisha was brought from Ethiopia to Latin America in the last century – initially as a potential disease resistant crop. However, it was later discovered that it tasted, unlike any other coffee with its notes of jasmine, peach, and bergamot. It is said that each Ethiopian village today has its own varietal of coffee, so who knows how many more potential superstar coffee are still waiting to be discovered? The genetic variety of Ethiopian coffee is also essential for another reason. Leaf rust! The common types of coffee, such as bourbon and typica, are usually quite fragile and disease prone. But with all the different varieties we have in Ethiopia, there is still hope. They will prove a lot more disease resistant. Like, I mentioned above, many Ethiopian villages have their own semi-wild coffee variety. Still, traditional different parts of the country have been associated with specific flavors. There are three main regions that you should know. This is also how the Ethiopians themselves like to think about the coffee. 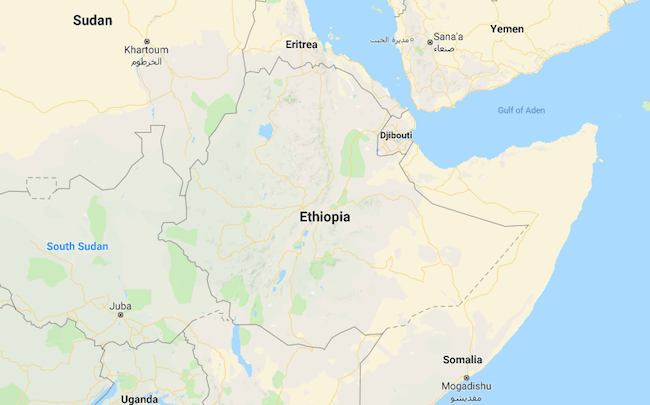 In fact, the country has trademarked the names, and once even had a legal battle with Starbucks over its exploitation of this Ethiopian heritage. Harar, however, seems to have fallen out of favor with Western roasters. It’s not as common as it used to be. This region is typically associated with notes of blueberry – which if you’re a real coffee geek – is one of the ultimate flavors. Sidamo (or “Sidama” which is actually the correct name) is ubiquitous. Really, this area is so vast, that there can be considerable fluctuations in taste. However, the beans are typically packed with fruity notes and light chocolate. This is also where some of the highest grown coffee can be found with a typical altitude of 1400-2200 masl. Yirgacheffe is the smallest region, but it’s also the most famous one. It is more or less a part of Sidamo. The coffee coming out of these few villages comprising the Yirgacheffe area is some of the most amazing, sweet and floral coffee in the world. Usually, the profile is similar to that of the Panamanian Geisha. Expect a lot of stone fruits, lime, and florals. Once in a while, you can get more unusual flavors such as mint and bergamot, too. There’s a lot of high quality washed coffee coming from the washing stations such as Aricha, Chelbessa, and Idido. You can encounter fantastic dry-processed coffee from this region. These typically, have notes of strawberry, and even occasionally, the sought after blueberry note. Ethiopian beans are unique in so many ways. When it comes to roasting, they seem to also play by their own rule. High-quality Ethiopian coffee is packed with sugar and exciting flavors from nature’s side. That means that it’s often the best solution to roast them lightly. Roasting can be used to make a coffee sweeter and to bring out caramel flavors. But with Ethiopian beans, this usually isn’t necessary. Instead, the trick is to go as light as possible to preserve a lot of the unique characteristics. Ethiopian beans are usually quite small, but on the other hand, they are very dense. Personally, I’m pretty conservative when I roast them. I charge the beans at a medium temperature and drop them once the first crack has rolled for about 30 seconds. This is usually enough to ensure both sweetness and acidity. Unfortunately, this isn’t the same approach they have in regards to roasting within Ethiopia. I was once kicked out of a roastery there because I told the owner my honest opinion of his beans (they were almost turned into charcoal, but I should probably have been more tactful). Don’t get me wrong, Ethiopia is a fantastic and unique country to travel in, but the locals don’t always treat their beans the way they deserve. ‘The Ethiopian Coffee Ceremony’ is famous abroad but with my ‘specialty coffee point of view’ ‘I can’t fully appreciate it. The ceremony starts with hand roasting of coffee beans in a wok. This usually leads to uneven and burnt beans. Then the coffee is ground with a mortar and pestle, and brewed by steeping. The idea and the spirit are good, but in my opinion, you would get a lot more out of the beans by using professional roasting gear and barista best practice. Still, it’s worth remembering that most coffee producing countries don’t have a coffee culture. Ethiopia most certainly does! In fact, about half of the annual production is consumed domestically. If you are curious about some Ethiopian coffees, it’s just to go ahead! 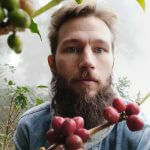 Most reputable third wave roasters should have some beans worth exploring. The first thing I’d start with is a light roasted Yirgacheffe bean – maybe brewed in something like a Hario V60. Ethiopians also do well either in an espresso blend or as a single origin bean, but IMHO manual brewing is where they really shine. If you really want to try some of the funkiest and most exciting flavors that coffee has to offer, then go ahead and try some natural processed coffee from Ethiopia. Again, Yirgacheffe and Sidamo are proper names to go for. Of course, there are many, many more. This list is by no means exhaustive. Personally, if I had to pick only one country to drink coffee from for the rest of my life, this had to be the place. I hope I persuaded you into trying some Ethiopian beans.